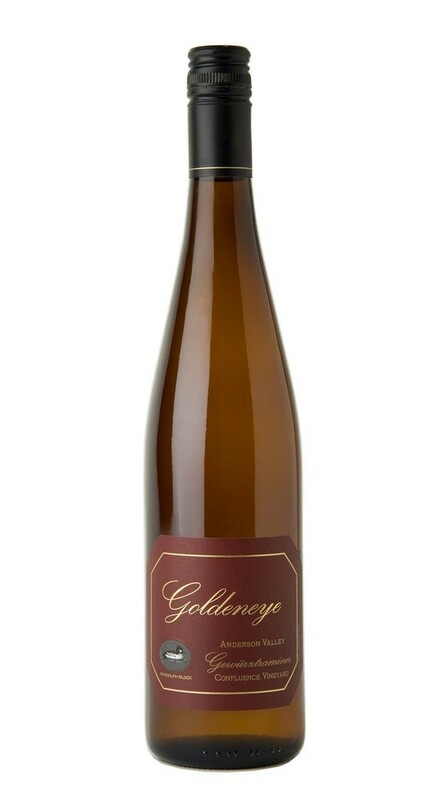 Anderson Valley has been a happy home for Gewürztraminer for decades, and after one sip of this wine you can see why. Starting with a beautifully inviting nose of lychee and rose petal, this wine explodes on the palate with vivid flavors of honeysuckle, hibiscus and Asian pear; balanced by bright acidity normally associated with citrus fruit. On the mid-palate, notes of passion fruit and wet stone lead to a very long, satisfying finish that invites you back for more. An ideal wine for sushi, white fish, or spicy fare. Wonderful balance of floral scents, bright fruit, and sweet honey, with no single flavor overly pungent, though I wish it had a slightly stronger mineral backbone.